Today’s dental technology enables Family Dental Practice of Newington to treat an even wider array of issues in less time while keeping our patients much more comfortable. Below, you’ll find many services that you just can’t expect from your normal family practice. While others might have one or two, we’re the only local practice that has them all. Whether you are in severe dental pain or need a little help relaxing during your visits, our training and technology will ensure we can always take care of you. A root canal is a procedure we use to remove infected or dead dental pulp, which is the soft tissue located at the center of every tooth. It can often be damaged by either decay or injury, and when it is, it usually brings on the mother of all toothaches. 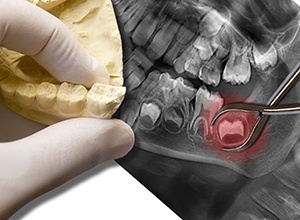 A root canal can quickly relieve this pain and allow us to save a tooth that would otherwise need to be extracted. The “wisdom teeth” are actually the third set of molars that typically erupt around the ages of 16-25, and for most people, this only spells problems for their smile. The modern human mouth often doesn’t have enough room for these teeth, so when they start to come in, they can put pressure on the other teeth, causing pain, crowding, and they can even become infected. Fortunately, we can perform safe and effective wisdom tooth extractions in our Newington office, and we’ll keep an eye on them so we can remove them before they cause you any issues. In the case of certain dental emergencies, we may need to remove a tooth simply because it is too damaged to be restored. We’ll make sure you’re completely comfortable during this procedure thanks to local anesthetic and sedation, and we’ll immediately get to work helping you choose a proper replacement. In the end, we’ll make sure you never have to face the world with an incomplete set of teeth! 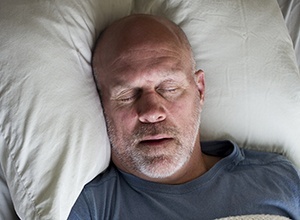 Sleep apnea is a serious condition nearly 22 million Americans suffer from every night. It causes a person to temporarily stop breathing multiple times while they are asleep, and this can prevent them from getting the rest they need and even raise their blood pressure to fatal levels. If you have sleep apnea, our team can help you alleviate your symptoms with a simple, custom-made oral appliance. This small mouthpiece will keep your airway open during the night so you can breathe peacefully and finally get the rest you deserve. Does just the idea of going to the dentist cause the hairs on the back of your neck to stand up? If so, you’re far from alone! For our more nervous patients, we’re able to help them relax and enjoy comfortable visits thanks to dental sedation. This range of techniques is safe, effective, and can be used with just about any procedure you might need. 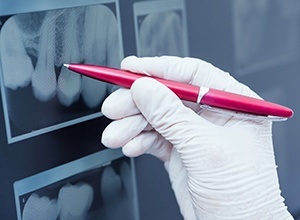 Whether you just need to take the edge off or have avoided the dentist for years because of fear, sedation can help you finally get the dental care you need without the stress.